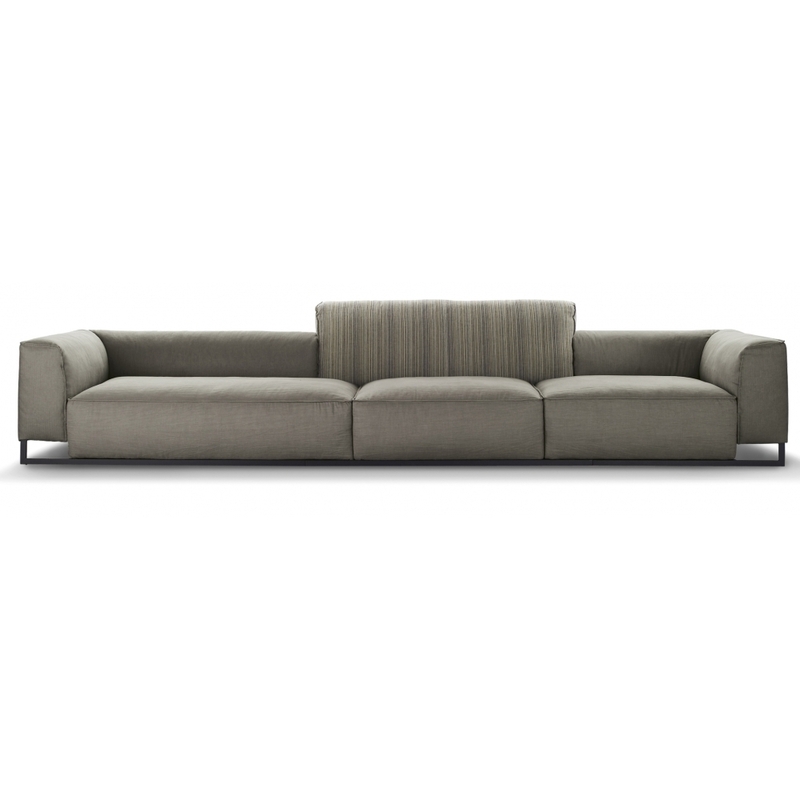 Inkas is an exclusive sofa allowing the creation of a unique, unrepeatable style, and endless patterns of interlocking shapes with the seat and armrest/back units. The inkas compositions have an irregular design: the edges of the seat units and back units do not match and the height of the back units is variable. The effect is an interlocking pattern of soft and geometric shapes that convey a sense of rhythm and vivaciousness. All the components are in down. The base supporting the back and armrests is available in brown or white. Designed by Manzoni - Tapinassi 2011. Back and seat frame outer structure: metal; inner structure in multi-layered wood. Back structure padding 100% down proof twilled cotton cover with thermo bonded Dacron, filled with mixed down, core in polyurethane of varied densities. Seat structure padding 100% down proof twilled cotton cover filled with mixed down, core in polyurethane (D.30 + D.30 FE). Low back cushion padding 100% Gabardine cotton cover filled with mixed down.